This comment piece by DEA Chair Professor Kingsley Faulkner first appeared in the Canberra Times, the Sydney Morning Herald and WA Today on 16 December 2015. The COP 21 UN Climate Change Accord reached in Paris on December 12 has torn down the veil of ignorance, obstruction and inaction to allow real hope for humanity and the planet. The climate change deniers, doubters and agnostics have been left intellectually marooned and the worst fossil fuel lobbyists have been left morally exposed. It is a moment in history which should be marked by celebration, cautious optimism, strategic intelligence and increased determination to ensure that hope is consummated through transformational policies, technological innovations and effective actions. As the major leaders who were prominent in Paris have emphasised, this agreement is not perfect but it is a major step towards addressing the dangers of climate change. Many more steps will need to follow but momentum has gathered and the great ship is now turning. The commitment given by 195 nations assembled in Paris is to adopt sufficient measures to ensure that average global temperature does not rise to 2 degrees Celsius above the pre-industrial level with an aspiration to keep the rise to no more than 1.5 degrees C; phase out fossil fuels altogether by the end of the century and work towards limiting human induced CO2 emissions to no more than the planet can absorb by 2050; a target of 100 per cent renewables by 2050; and a commitment by wealthier nations to provide funds of $US100 billion annually to poorer nations for climate change mitigation and adaptation measures. The Accord requires nations to review their progress towards honouring their commitments at five yearly intervals and challenges them to improve upon their targets. Weaknesses in the agreement include the absence of enforcement mechanisms, or any legal liability for damages caused by the worst CO2 emitting countries upon other counties adversely affected by those emissions. Nevertheless the accord is a great political boost for research and development in the renewable energy sector and for energising individuals and organisations around the globe. According to the International Energy Agency, agreed targets will mean that $US16.6 trillion will need to be spent on renewable energy technologies and efficiencies. There can be little doubt that the well co-ordinated and strategically directed actions of hundreds of concerned organisations and hundreds of thousands of individuals had an impact upon the negotiators in Paris and contributed positively towards the outcomes, and strong advocacy will continue to be needed for the foreseeable future. Initially Australia gave the impression of being a reluctant participant rather than a real leader in the Paris talks, presenting its target of 26-28 per cent reduction in emissions relative to 2005 levels as though it was the most responsible position it could take without causing great harm to its domestic economy. The preferred strategy for achieving that target will continue to follow its somewhat criticised Direct Action plan. Most critical analysts argue that the target should be a 45-60 per cent reduction. Australia also tried to divert talk away from its current intention to open new coalmines and double its coal exports over the next few years as though this could be kept quite separate from its domestic emissions commitment. As a consequence, the ranking of its commitments to tackle the fundamental problem of global emissions was third lowest. Astute investors are now aware that coal, in particular, has no long-term future whereas renewables certainly do. 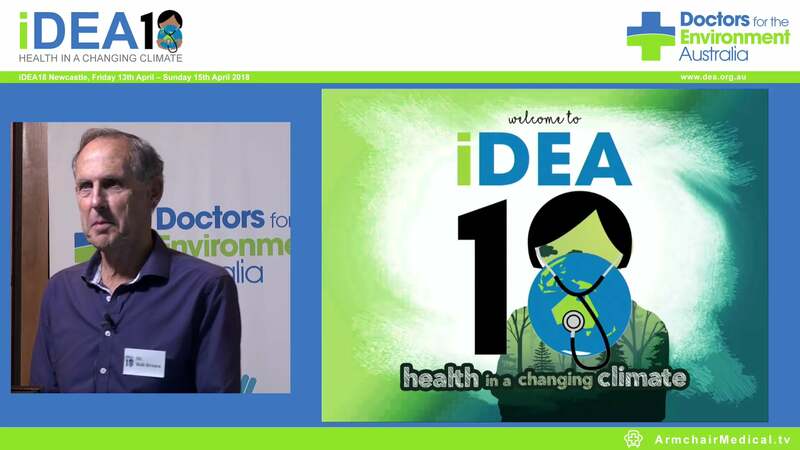 It will be vital in the weeks, months and years ahead that the health impacts of climate change remain at the forefront of Australia`s ongoing policies and actions. 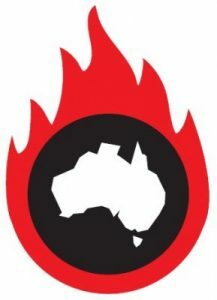 The rising average daily temperatures throughout Australia, drying landscapes and further potentially lethal bushfires will reinforce that message. The direct impacts from these events and indirect consequences from ecological, physical and social impacts may lead to a range of health effects including injury, dehydration, mental health effects, water borne illnesses, malnutrition and infectious diseases. Those who will suffer most will be the children and vulnerable adults. Australia should aspire to leadership and innovation in tackling climate change much as it has done with tobacco control. Strong health advocacy and enlightened legislative action has made Australia a world leader in this public health matter, resulting in great reductions in morbidity and mortality amongst its citizens. The potential hazards to global health from climate change are even greater. It will be a matter of profound intergenerational injustice if Australia fails to respond.